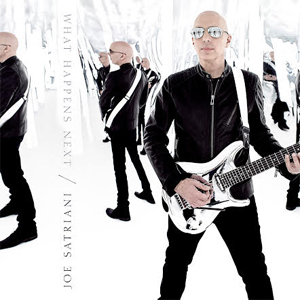 World-renowned guitar virtuoso, JOE SATRIANI, announces the release of his 16th solo album, What Happens Next, set for release, January 12, 2018 on Sony/Legacy Recordings. 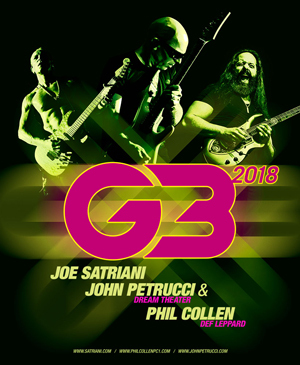 Just a day prior to the album release, SATRIANI revives his G3 tour entity, inviting DREAM THEATER’s John Petrucci and DEF LEPPARD lead guitarist Phil Collen to join him. The G3 tour launches on January 11 in Seattle, WA and continues across the U.S. before winding up on February 25 in Milwaukee, WI. There is a special tour pre-sale promotion giving fans the opportunity to buy concert tickets with the new album as well as VIP packages. Visit https://lnk.to/WHN for more information, pre-sale opportunities and specific market pre-sale and on-sale dates. In addition to this new album and exciting tour news, a new documentary Beyond The Supernova shot by SATRIANI’s filmmaker son, ZZ, makes its debut at the Mill Valley Film Festival this October. The tour documentary chronicles Joe, along with his band and crew, on their last “Shockwave Supernova” tour throughout Europe and Asia. For two decades, the guitar virtuoso has traveled the world, playing to sold-out crowds as both a headliner and as founder of the all-star “G3” guitar extravaganza. SATRIANI’s studio and live recordings have sold more than 10 million copies worldwide to date and of his many solo albums, two have gone platinum and four others went gold, with 15 Grammy nominations between them. His side project,CHICKENFOOT, featuring former VAN HALEN front man Sammy Hagar, former bassist Michael Anthony, and RED HOT CHILI PEPPERS drummer Chad Smith saw their debut album certified gold and their second studio album debuted at #9.